Dissolution is a rich tapestry of textures and seemingly incidental sounds, arranged into a subtle symphony of close sonic gestures. This track quietly moves through fields of glitchy electronic sounds, undulating sine tones and incomprehensible vocal snippets. At points it puts me in mind of AM radio transmissions moving in and out of tune on a late night drive. Averaged out sonically, it gives the impression of a fuzzy blanket, warm but ever-so gently scratchy. Dissolution is a reflection upon human “webs of significance,” and an investigation into the ways that electronic communications and recording technologies, both past and present, facilitate, complicate and transmute the formation of these webs. I thought especially about how those webs of significance function in obsolete, or decaying vintage media. How we remember an old record by the skips and pops etched on the surface by minor accidents over time parallels our perceptions of an attraction in the signs of entropy evident in an up close view. 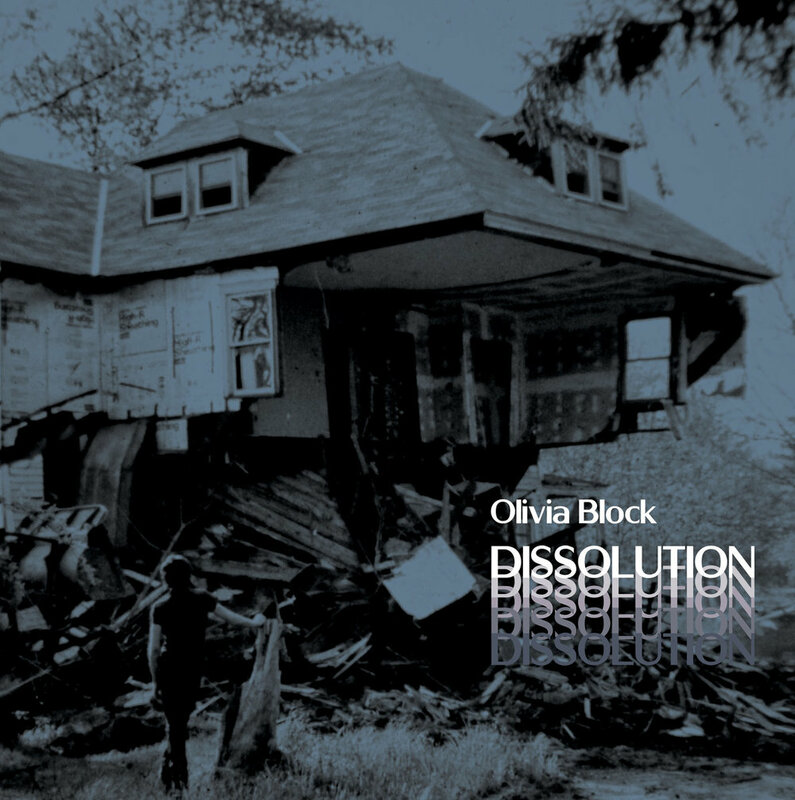 Buy Olivia Block's album Dissolution on Bandcamp. Check out Olivia Block's website.